Realign your chakras and restore your body's equilibrium. How would you like to balance your chakras, just by listening to an audio MP3? Want to quickly align your body's energy points? It’s all possible, when you listen to our Chakra Shot. Your brainwaves form a special relaxed pattern when your energy centers are in perfect alignment. This pattern occurs when your physical and spiritual chakras are open and fluid. The Chakra Shot uses special ‘brainwave sounds’ to replicate this pattern inside an audio recording. As you listen, these brainwave sounds stimulate your body's chakra points, helping you feel more vibrant, more vigorous, and more alive. The result? After listening to this shot, you’ll enjoy a renewed sense of balance and equilibrium. You'll likely feel transformed, reborn, and completely rejuvenated. 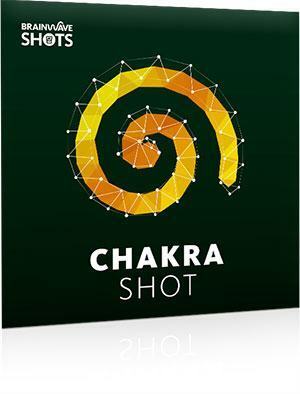 Our Chakra Shot will help you realign your chakras quickly and easily. 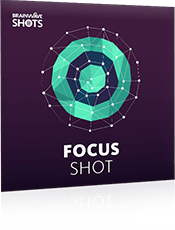 The Chakra Shot audio lasts just 30 minutes. As soon as you've listened, you'll enjoy all the benefits that come with open and unobstructed energy points. The results will last anywhere from 4 hours through to several days. 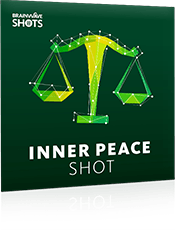 Your album also includes an extended 30-minute version of the Chakra Shot, which will further enhance the results you get. You’ll also receive 15- and 30-minute brainwave-only audios, so you can listen without our ambient background sounds, or mix with your own music. The Chakra Shot is completely safe* to use. It simply activates your brain's natural frequencies, on demand. Full 30-minute protocol: The session features a constant frequency of 10 Hz alpha with pitches covering each of the 7 chakras. The regular audio mix also contains relaxing music mixed with rain ambience. The 15-minute versions contain a compressed version of this protocol. Get ready to align your chakras and feel great! 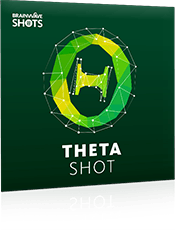 Discover the Chakra Shot today and experience it for yourself. Our brainwaves work in frequencies. By changing those frequencies, you can change your state. 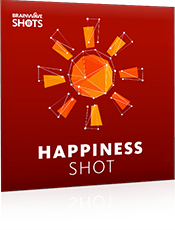 Brainwave Shots is the only company which makes that happen, with its selection of audio shots. I tried them, and was surprised, because they really worked.